A course for those looking to push not only the capabilities of their rifle, but also their own skills as a marksman! We will cover many topics related to the marksmanship fundamentals necessary for competitive, hunting, & target/sports shooting. 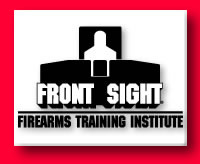 NOTE: This course is suitable for any rifle/ammunition combination capable of achieving accurate hits (2 MOA (2") or less at 100 yards) up to 350 yards (7" or less sized group). If your rifle of choice is a manually operated rifle (such as a bolt, lever-action, or pump gun), this course is much better suited for you than our 4-Day Practical Rifle. Loading and Unloading; Carrying and Ready Positions; Shooting Stance (Offhand/Standing) and Assumption of Supported Positions; Stabilization Techniques; Sight Alignment, Sight Picture and Trigger Control; Target Identification and Engagement from 15 to 350 yards under Time Pressure; Reading the Wind; Holdovers; Trajectory; Introduction to External Ballistics; a Skills Evaluation; and more. The weapon should be able to hold a 7" or less group at 350 yards with factory match or hunting grade ammunition and can be semi-automatic, a bolt gun, lever gun, or pump action. Easily carried rest such as a monopod, bipod, tripod, bag rest or monopod.